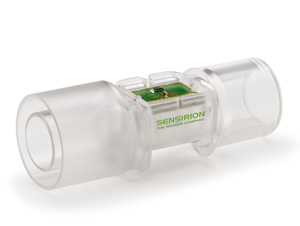 Sensirion, headquartered in Staefa, Switzerland, is one of the leading manufacturers of environmental and flow sensors. With offices in the USA, Germany, Japan, South Korea, China and Taiwan Sensirion employs a highly skilled team of over 700 people. The headquarters in Switzerland is responsible for research, development, and production of the CMOS-based sensor components and systems that are applicable to a wide variety of medical and other demanding OEM applications. In addition to the Swiss headquarters, our worldwide branch offices support the sales of our sensor systems and solutions, which guarantees a competent support and efficient customer service around the globe. Sensirion owes its success to its innovative and patented CMOSens® Technology. This technology integrates sensor elements and evaluation circuitry within a single semiconductor chip. This combination ensures that the weak sensor signals can be amplified and digitized with high precision directly where they are generated, thereby making them resistant to interference. This provides the basis for the extremely high measurement accuracy of Sensirion’s sensors. With the elimination of fault-prone solder joints, users also gain from outstanding long-term stability, as has been proven by extensive field tests. In the highly competitive medical market, this system integration offers unbeatable customer benefits, in particular its high reliability and precision at low cost. 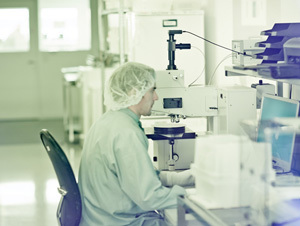 Medical devices must meet the highest standards in terms of quality and reliability. The use of proven Sensirion sensor solutions contributes to this and offers the possibility of making applications safer, more reliable, and more convenient. Our many years of experience in the field of medical technology make us the preferred experts for leading medical-technology companies. Besides standard sensor solutions, Sensirion offers custom versions. The essential goal is to understand the requirements of our customers and to implement the key benefits of our technology skillfully to their advantage by modifying or completely redesigning our products. As a result, perfectly suitable products for the medical market are available: The high-sensitivity liquid flow sensors are designed for measuring ultra low flow rates in diagnostics applications, while the mass flow meters for gases are especially appropriate for respiratory devices. Due to their dynamic flow measurement principle, Sensirion’s digital and analog differential pressure sensors offer superb long-term stability and achieve highest accuracy and sensitivity even at low differential pressures (below 10 Pa). This makes them a perfect fit for the use in anesthesia equipment and medical ventilators. For the control of an ambient atmosphere, Sensirion provides a variety of humidity and temperature sensors, which are characterized by excellent performance and low power consumption. 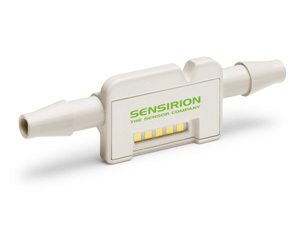 Thereby Sensirion’s sensor solutions help to increase the safety and reliability of medical devices. The SFM3300 features outstanding measuring accuracy and robustness as well as a short signal processing time. Thanks to its performance characteristics, the mass flow meter is ideally suited for single-use proximal flow measurements in medical ventilation, hospital applications, residential care applications and emergency situations. 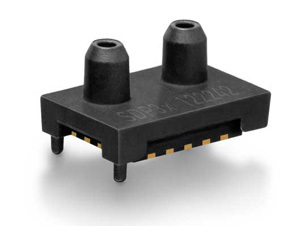 Sensirion's smallest differential pressure sensor opens up new dimensions of integration and application possibilities. The SDP3x is ideal for the measurement of mass flow in a bypass configuration and is considered the perfect choice for high volume and cost-sensitive applications, where small size is essential. One novel development with tremendous potential is our single-use liquid flow sensor that is able to measure lowest flow rates and detect common failure modes quickly and reliably. The LD20 sensor series measure the liquid flow rate directly and at the point of interest for a more effective patient treatment and improved safety. 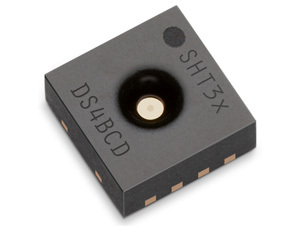 Sensirion's new humidity and temperature sensor series SHT3x takes sensor technology to a new level. The sensor is particularly well-suited for humidifier applications in the field of ventilation and as well for compensation of temperature and humidity in other medical applications and devices. In addition to its outstanding accuracy, the sensor features increased intelligence and reliability and includes several additional functionalities.